When Ford introduced a 7-litre V-8 engine, the chassis of the Cobra had to be completely amended because the torque was too great for the original chassis. By extending the wheelbase from 229 to 244 cm (90 to 96 in) the AC was made big enough to carry four people. It was introduced as the AC 428 of which eighty examples were sold. The AC 428 had a steel body, designed by Frua in Italy. 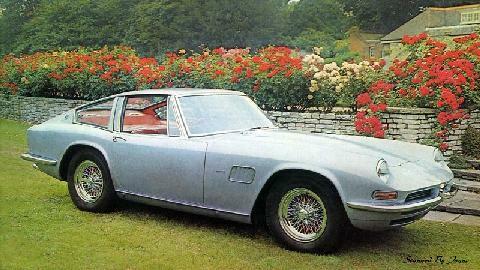 This was fairly apparent since the car closely resembles the Maserati Mistral from the same drawing board. The engine was a 6,997 cc V-8 that delivered 350 bhp at 4,600 rpm.